“Even ‘Super You’ needs help and support. There is no shame in asking for assistance. Push aside the pride and show respect for the talent others can bring to the table. You know your Grange inside and out. You know about its history, projects and activities like the back of your hand. But are you the best person to always be the spokesperson for your Grange? Do you find it hard to fit in everything that needs to be done for your Grange? Do you find yourself perpetually tired and frustrated? Is it always the same person who sets up the hall before a meeting, and then mows the lawn and cleans the kitchen and the bathrooms? Many Granges find that oftentimes it is the same person handling all the tasks at hand. Sharing responsibility is important. Do your Grange leaders delegate or do they just take care of everything themselves? Many times members will not automatically step up and volunteer to take on a task unless they are specifically asked to do so for fear of stepping on toes or hurting others feelings. This is where delegation comes into play. 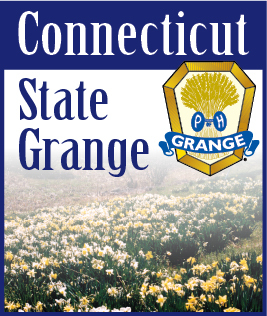 It’s easy to say that delegation is what needs to happen in every Grange, but it’s always not so easy to do. “If I want it done, it’s easier to do it myself.” It’s a critical decision to decide which tasks to delegate and which tasks to handle personally. The first step to effective delegation is knowing which tasks are yours and which tasks others can achieve success with. Match the skills then present the task as an opportunity, not as an assignment. Never undermine your membership. Develop ways to share the workload so that your Grange can reach its potential and grow its membership. There are different levels of delegation and it is important to know ahead of time what your members skill sets are, and how much responsibility they can reasonably handle. In order for delegation to be successful, there are a few steps that apply to all situations. No matter what stage of growth your Grange is at, one person doesn’t have to wear all the hats and perform all the tasks. Look at the entire Grange when choosing tasks to delegate. Delegation means learning how to hand off some of the hats you wear to other people who will then wear them in your place. Delegation is assigning specific tasks and responsibilities to others, but it is about more than just freeing up time. It is one of the most important aspects of leadership and management. Good delegation saves time, gains experience, encourages teamwork, saves money, develops leaders, motivates members, and may even groom a successor! Most important - good delegation prevents member burnout.